It was a hectic weekend for the harriers with the Dublin marathon on Monday, the start of the NI cross country at Kilbroney on saturday in addition to the NI & Ulster even juvenile championships at Kilbroney. That in addition to the local parkruns meant what must have been a record number of harriers were out competing. The annual Bobby Rea cross country took place at Kilbroney on Saturday with the mens and womens races contributing towards the Northern Ireland cross country. First up were the women. Gladys Ganiel O’Neill continued her comeback from injury to finish 2nd after a good battle with Julie Turley from Dromore. 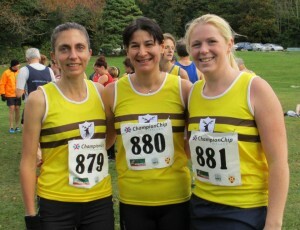 Gladys was ably assisted by Athanasia Sevastaki who finished 23rd and Michaela Murphy who finished 34th. At the time of writing we are unsure of were the team placed but the points will be enough to get us on the board at least. 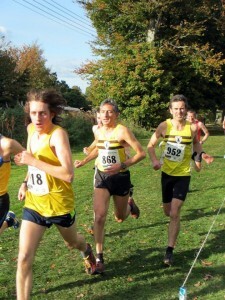 The men came out in force fielding a strong contingent of ten runners with a few cross country debutants too. Up front Alan O’Hara had a good race to finish 5th followed by Neil Carty in 16th, Paul Blaney in 20th and Eddie Cooke in 23rd. Simon Reeve and Travis Todd had a good battle for 43rd with Simon just winning out followed by Joe Norney who ran his first cross country to pip Kent Swann into 52nd. Robert Irvine and Martin Cox also ran well for 58th and 86th respectively. 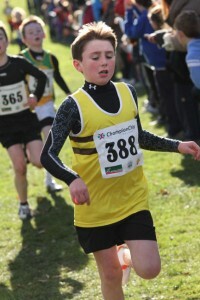 The juvenile “even age group” championships were also held at Kilbroney on saturday. A total of 26 young harriers made the trip to Rostrevor. The races got under way with the under 10s. In the girls 8 year old Aoife Gorman had a great run to finish the testing 1k course in 5:27 and in the boys race Kelvin Kearney and Marc McCann finished in 4:21 and 4:31 respectively. Next up were the under 12 girls team with Mollie O’Hare, Aime Bradley, Bryanna Catney and Lauren Cox finishing 39th, 41st, 92nd and 03rd respectively. The under 12 boys team were next to go with Tony McCambridge 3rd, Damien Marquess 30th, Thomas Reid 32nd, Adam Lamb 53rd, Finn Nagle 62nd and Brendan McCambridge 77th which was good enough for 3rd team and All Ireland qualification. In the under 14 section there were good runs from Beth McArdle, Rioghnach Catney, Joseph Lennon, Odhran Catney and Conor Foster. The penultimate age group was the under 16s which contained 7 harriers. There were good runs from Katie O’Hare, Katie McCambridge, Catherine Matthews and Catherine McGinnity in the girls section and in the boys Conor McQuillan, Niall Geehan and Andrew Milligan finished 19th, 42nd and 64th. The last runner to go was Conal McCambridge in the under 18s who had a great run to finish 4th and joins the boys under 12s at the All Irelands on the 25th of November at Rathoath county Meath. As usual we had a large contingent of harriers making their way to Dublin for the annual marathon. Conditions turned out dry and cool in what was a good day for marathon running. First harrier across the line was Andrew Considine who ran a new PB and hit his target of 2:39 all despite being involved in a traffic accident the day before! Next Martin Rea did his usual solid job bringing the 3 hour group round just under 3 hours. Greg McClure ran yet another solid marathon for 3:04 closely followed by recent recruit Roisin Hughes who continued her run of PBs since joining the club to finish in 3:06. John Black knocked a mere 30 minutes of his PB for 3:12 closely followed by Sean McShane who ran his first marathon in 3:13. 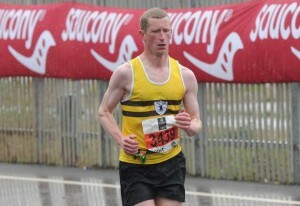 Next up Damien Gill ran his first, and possibly last, marathon for 3:27 followed in by Gerard McNamara in 3:28. 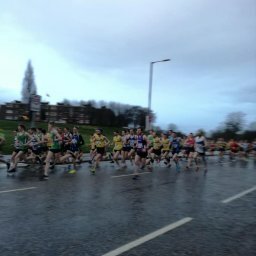 Helen Weir ran a big PB for 3:42 followed in by Patrick McShane running his first marathon in 3:45. parkrun regular Jim Clinton ran a big PB of 3:49 with Alan Ritchie and Paul Williams also making it in under the 4 hour mark for 3:56 and 3:57 respectively with Killian Woods running 4:23. Another large contingent of harriers made it out to the parkruns. At the waterworks Conor Curran and Darryl Blair continued from where they left off last week with Conor taking victory in a new PB of 16:09 one second ahead of Darryl. 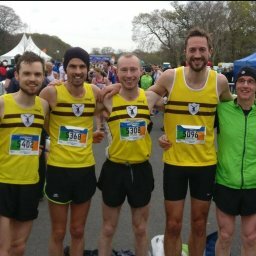 Martin Rea warmed up for Dublin finishing 4th in 17:04, Simon Reeve was 7th in 18:18, Paddy Hamill 8th in 18:22, Gerry Gribbon 15th in 19:31, Greg McClure 18th 19:44, John Murphy 20th in 20:02, Mannix McAllister 24th in 20:53, Jack Carberry continued smashing his PB for 37th in 22:17, John Johnston 44th for a new PB in 22:46, Thomas McKinstry 54th in 24:09, Piaras McShane 63rd in 24:47, Patrick McShane 64th in 24:48, John O’Hare 72nd in 25:32, Killian Woods 97th in 28:37, John Burns 98th in 28:38 and Tina Haggan and Aaron McCann were 118th and 119th in 35:02 and 35:03 respectively. Claire Connor ran a new parkrun PB at Victoria park for 18:27 with Mark Shields also running to continue his comeback from Amsterdam and finish 30th in 21:41. Drew Crawford finished in 96th with 27:31. 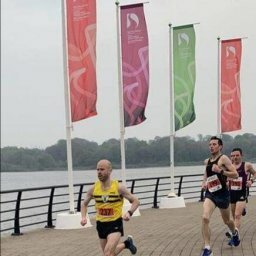 Jim Clinton finished 36th at the Falls parkrun running 36:37 and over at Queens a timer blip meant no times but Philip Donnelly had a good run to finish 7th and Kevin Lavery finished in 17th.